Wesley James Long, 55, passed from this life on January 14, 2019 in Stillwater, OK. A memorial service will be held at 2:00pm on Monday, January 21, 2019 at the Church of Christ in Stillwater. Strode funeral Home and Cremation is in charge of the arrangements. Wesley was born to Jack Dale and Nelda Joy Long on October 12, 1963 in Tulsa, OK. He was actively involved in Boy Scouts of America. He was a camp counselor and received his Eagle Scout in 1981. He later continued on to receive the Order of the Arrow Honor and bachelors of Scouting Award and served as assistant scout master from 1990-1999. He graduated from Daniel Webster High School in 1982 where he lettered in track and cross country. He graduated from Goodwill Vo-Tech in 1996 where he was honored as the graduate of the year. Wesley later worked in the nutrition department at Stillwater Medical Center. He was a member of the Stillwater Church of Christ, and for years he and his father took communion to the church’s shut-ins, those in nursing homes and assisted living facilities. One of Wesley’s greatest passions was his involvement in Boy Scouts and he was a great fan of all Oklahoma State athletics. He proudly wore his OSU jacket and truly cheered for his favorite team. Being an avid OSU fan, he would be found either in front of the TV, listening to the radio or cheering. A photo of Les Miles leading a group of fans down the street can be found in his room and Wes is in the front row smiling from ear to ear. Wesley was a very humble and true servant at heart. Wes was recognized at Stillwater Medical Center on many occasions as employee of the month and presented his 15 year and 20 year service awards. He was known by every employee at SMC and many visitors who came to visit in the hospital. 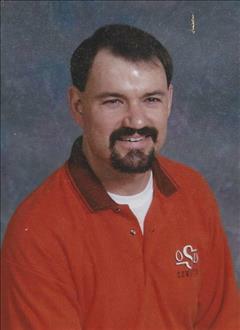 Wes is survived by both parents; one sister and brother in law, Jill A. and Erick Sanders; two nieces, Alison and Casey Denny and one nephew, Jack Denny. To send flowers to the family of Wesley James Long, please visit our Heartfelt Sympathies Store.